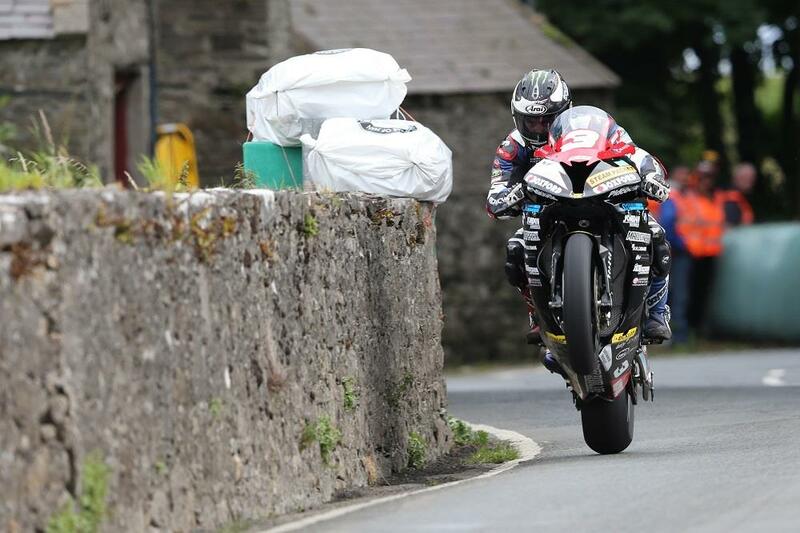 Michael Dunlop led the way on the opening evening of practice at this year’s Sourthern 100, lapping the 4.250 mile Billown circuit in 2’23.277 to outpace the returning Dan Kneen. Returning to racing for the first time since breaking his arm ahead of this year’s North West 200, Dan Kneen was less than a second behind the BMW-mounted Dunlop aboard the Mar-Train R1. Ivan Lintin was third fastest in the 1000cc class aboard the Devitt RC Express Racing Kawasaki, ahead of Ryan Kneen and Mark Parrett. Jamie Coward rounded out the top six. Dean Harrison led the way in the 600s, again from Mar-Train’s Dan Kneen, with Jamie Coward third. Colin Stephenson was fourth fastest ahead of James Cowton and Ivan Lintin, who led the way in the Supertwins class from Rob Hodson and James Cowton. Dan Sayle topped the 125/400cc practice aboard the Honda Falcon Moto3 machine, ahead of Darryl Tweed and Adrian Kershaw. The sidecar session was led by the local pairing of Molyneux and Sayle, ahead of Holden and Winkle and Reeves and Farrance.